The JSE advanced on Tuesday as global stocks rose on the back of positive news on the likely avoidance of another US government shutdown, as well optimism over the US-China trade talks. Asian stocks rallied to close firmer in Tuesday’s session while US index futures were also trading mostly firmer. A similar trend was recorded in Europe where most of the major bourses recorded gains. US officials have hinted about their determination to reach a deal with China which has seen demand for riskier assets appreciating in this week’s trading. Locally, Statistics SA released South Africa’s Unemployment Rate data for the 4th quarter. The number came in at 27.1% which was better than the forecast and prior recording of 27.5%. There was disappointment in the Manufacturing Production YoY numbers which were recorded at 0.1% which missed the estimated expansion of 1.4%. Manufacturing Production MoM grew 0.7% which was better than the forecasted growth of 0.4%. On the JSE, Astral Foods [JSE:ARL] closed among the day’s biggest gainers despite relatively smaller trading volumes as the stock climbed 7.36% to close at R168.44. Imperial Logistics [JSE:IPL] rallied 5.63% to close at R69.19, while Liberty Holdings [JSE:LBH] added 3.32% to end the day at R104.89. Rand sensitives firmed on the back of a mildly firmer rand which saw stocks such as The Spar Group [JSE:SPP] gain 5.14% to close at R199.98, while Shoprite [JSE:SHP] firmed to R164.31 after gaining 2.69%. Harmony Gold [JSE:HAR] was buoyed by the release of its half-year interim results and as a result the stock gained 2.08% to close at R29.88. EOH Holdings [JSE:EOH] grabbed headlines in today’s session as it plummeted by more than 33% at its lowest point in today’s session. This was following a report that Microsoft had given intention to terminate its partnership agreement with one of the group’s subsidiaries. The stock eventually closed the day 25.87% lower at R19.80. WBHO [JSE:WBO] also traded under considerable pressure eventually closing the day 12.5% weaker at R115.50. Accelerate Property Fund [JSE:APF] dropped 3.23% to close at R3.90, while Fortress REIT [JSE:FFB] lost 2.98% to end the day at R14.65. 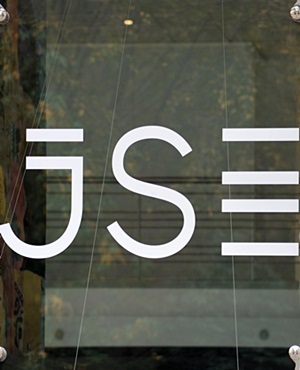 The JSE All-Share index closed 0.96% firmer, while the blue-chip JSE Top-40 index gained 1.14%. All the major indices managed to close firmer in today’s session. Industrials gained 1.14%, Resources added 0.79% and Financials climbed 1.24%. At 17:00, Platinum was down 0.1% at $785.93/oz, Palladium was up 0.58% to $1398.07/oz, and Gold had gained 0.18% to trade at $1310.51/oz. Brent crude rallied on the back of news that Saudi Arabia had pledged to deepen production cuts in order to boost oil prices. This saw brent crude gain 2.62% to trade at $63.12/barrel. At 17:00, Bitcoin was down 0.59% at $3674.20/coin, while Ethereum had lost 2.23% to trade at $121.67/coin.